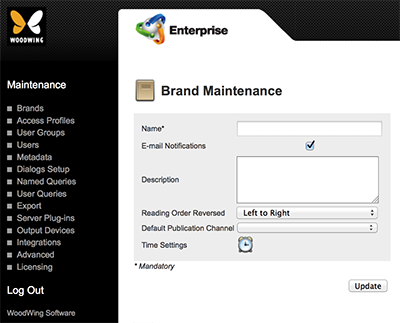 The Issue Maintenance in Enterprise Server 9 page holds all the settings for an Issue. 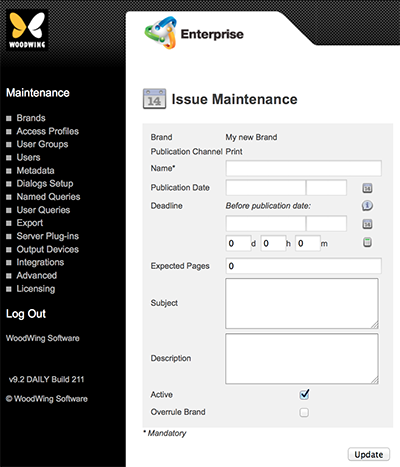 Figure: The Issue Maintenance page for outputting to print. Step 4. 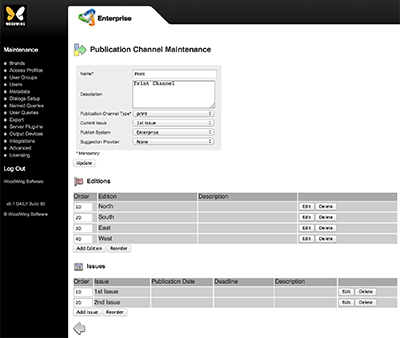 Click the name of the Publication Channel of which the Issue is part. Step 5. 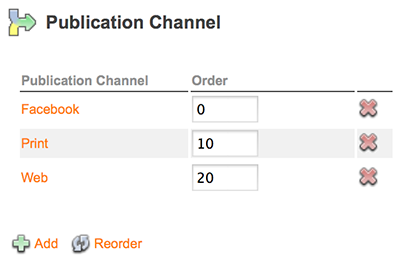 In the Issue section, click the Edit button for an Issue. 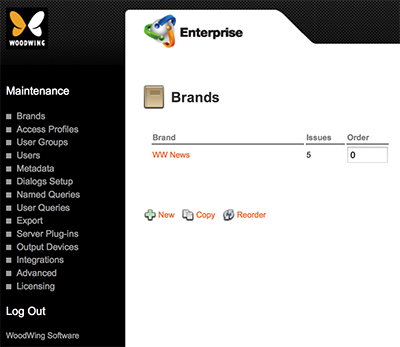 The Maintenance page for that Issue appears.